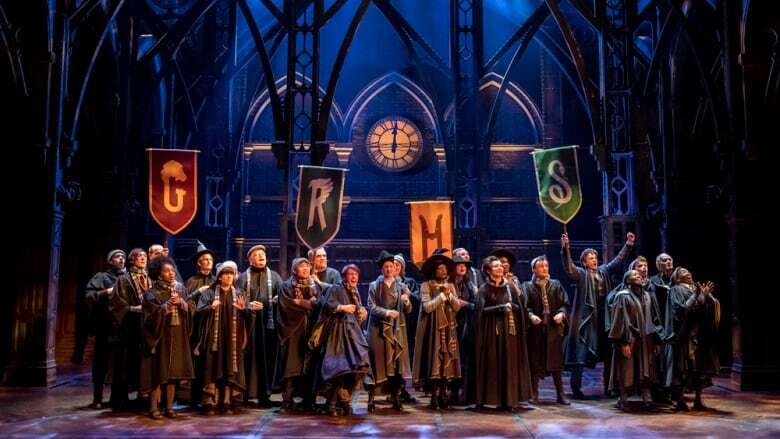 Montrealer Christine Jones’ painstaking work to recreate the magic of Harry Potter on stage has paid off, earning her a 3rd career Tony nomination for Harry Potter and the Cursed Child. If you're going to try to recreate a universe and characters beloved the world over, with nearly half a billion books sold and billions made through movies at the box office, you'd better not miss. 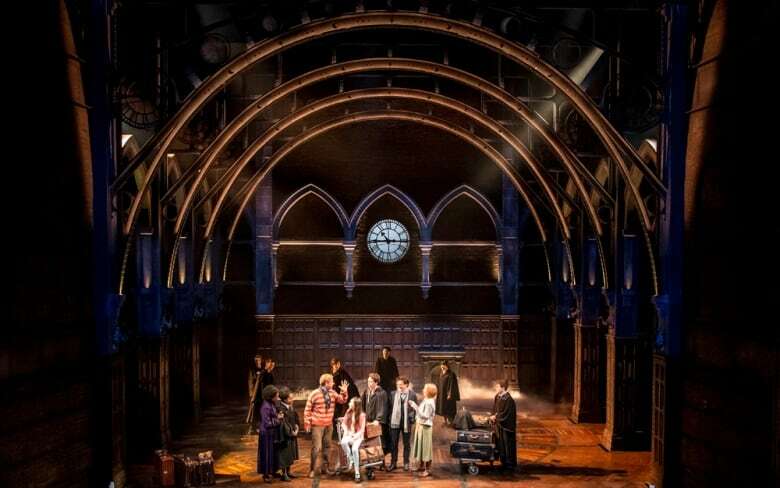 And it seems the team behind the Broadway play Harry Potter and the Cursed Child has hit its mark, with 10 Tony nominations, including one for Montrealer Christine Jones for scenic design. Jones, a Concordia theatre design grad and alumna of Beaconsfield High School and Marianopolis College, calls Montreal and New York her two hometowns. This is her third career Tony nomination. She won for the design of American Idiot in 2010. She also won the Olivier award for set design for the original London production of Harry Potter and the Cursed Child just last year. The Broadway version had a $68 million-dollar budget, according to the New York Times, making it the most expensive non-musical Broadway play ever produced. But the play uses stagecraft and sleight of hand, rather than big-budget special effects like the movies do, to enchant audiences, according to Jones. Jones spoke with All in a Weekend host Ainslie MacLellan about how she and her colleagues made the magic happen. How did it feel to be nominated? It's always wonderful to be recognized, especially in your hometown and when you can also be sharing it with your team. Many of the people who worked on the show were nominated and it's lovely to be recognized as a group. Why do you think the play has captured people's imaginations? These worlds are beloved by people all over the world. They've seen the films, they've read the books and being able to immerse themselves in a live performance is unique, to many. About 60 per cent of our audience members had never been to a play before. People are hungry for these stories and open to experiencing them in new ways. What kind of a challenge was this to pull off? Well, you go, "OK. I need to create a moving painting. How am I going to do that?" So we literally started off with cardboard and string and light and costume and choreography and sat down to figure it out. And it's a lot of trial and error: taping and untaping and cutting and trying it a different way. It takes a lot of experimentation and a lot of practice. I mean, magic is so much about the practice. Trying it over and over and over again to make it seamless and make the audience wonder, "How did they do that?" How similar are the London and the New York productions? They're quite similar. There are some things we did that are evolutions of ideas that I think are quite beautiful. But the thing that's also extremely remarkable and unique is that the theatre that we're in, the Lyric Theatre, is a space that was actually too large for our play, originally. And we were given the opportunity to come into the space and actually redesign the whole entire theatre to be a more intimate home for our play. So the theatre has been completely transformed. We actually removed 400 seats, changed the place of the dress circle, added boxes, created arches, built all of the details from carpet to wallpaper to sconces. So for me, that was an opportunity that I don't normally get to actually build something that's more of a legacy and might outlive us all. They are! And what's particularly lovely about bringing it to New York is that this is where my friends and family members are, and I've brought my son's class here to do a tour so they could see backstage and watch some rehearsals. My kids came to the opening here as well as my siblings and it's been great to share it with everyone.